Code: Realize ~Wintertide Miracles~ is the third and newest installment in the Code: Realize series. This time around, much of the story is Christmas and winter themed. The full cast of ~Guardian of Rebirth~ and ~Future Blessings~ makes a return here as well as some brand new characters. What makes this title even more special is the fact that it was localized in North America on Valentine’s Day. For the purposes of this review, I’ve done my best to avoid spoilers from the first two games. Despite those efforts, the events of the first game and the usage of some alternate timelines in this one made some references unavoidable. If you’ve not played the first two games, please consider doing so or, at the very least, have a look at our ~Bouquet of Rainbows~ review first. Now that those formalities are out of the way, let’s jump right in and take a look at what makes this installment memorable. Code Realize: ~Wintertide Miracles~ is spit into three distinct segments, each of which is represented using the different parts of a Christmas tree. At the very top of the tree, we have a series of triangle date events. Each of these lasts a little less than 30 minutes and features two different bachelors vying for Cardia’s attention. Since there are five different suitors to choose from, a total of 10 combinations exist here. There are also three special, not so romantic events involving the supporting cast of the first two games. All 13 segments take place directly after the base game and assume that the marriage scenarios of ~Future Blessings~ never occurred. There is no conflict and these exist purely for the sake of romantic fan-service. The second tier of the tree consists of five different romance routes, each following a different male member of Lupin’s team. Similar to the above scenarios, these events assume that the marriage routes of Future Blessings never happened. What sets these apart though is that instead of taking place right after the base game, they all occur after the alternate route involving Finis from the second. So in that sense, they take place after Blessings but only include Finis’ route as canon. 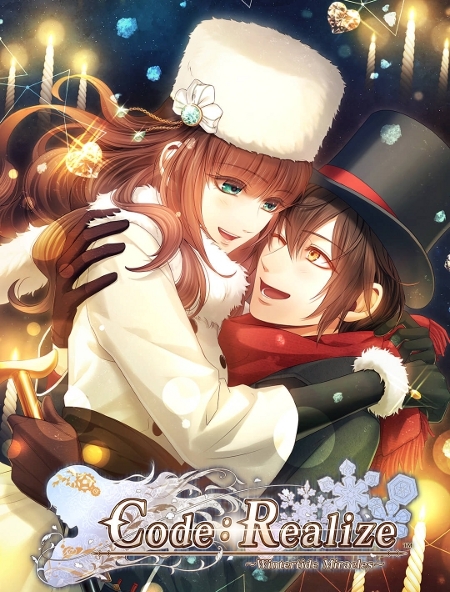 Having said all of that, the purpose of these routes is for Cardia to spend her first Christmas with one of the five gentlemen in Lupin’s crew. Each event is around 1.75 hours in length and they all involve Finis to some degree as well. These are followed up at the end of the game (once all other content is completed) with special epilogue events. These epilogue events are less that half-an-hour in length and involve Cardia marrying one of the bachelors (again). The final series of story scenarios occupies the space at the bottom of the Christmas tree. These include alternate events involving Sholmès and Finis as well as an all-original route that I will discuss separately. The Sholmès route is much in the same vein as the romantic routes discussed in the second tier above. It is separated from those due to Sholmès not being a main character. Finis’ route on the other hand explores what Cardia’s life with Finis would’ve been like had his route been followed in the previous game. In this timeline, he comes to live with her in her mansion in Wales. Sholmès’ route also takes place after Finis’ route from the previous title. They are also both around 1.75 hours in length. While still part of that third tier on the tree, our main event is the all-new Cantrella route which takes place during the events of the first game. This route stood out to me for a few reasons. Unlike all the others, this one takes place during the main events of the base game, adds a considerable amount of lore to it, and sets the stage for further events to follow. At just over 4 hours in length, it is also the longest route available this time around. It follows the story of two new characters: Cantrella and Miles Strand. Cantrella is a world-renowned songstress whose voice captivates everyone in the main cast as well as a mysterious baron who wishes to kidnap her. When he makes his first move, Cardia and the gang immediately choose to involve themselves despite their ongoing troubles with the Twilight organization. This route is most comparable to Shirley’s route from Future Blessings, but it’s shorter and (I’d argue) more compatible with the main story. While all of the other content was nice and enjoyable, Cantrella’s route was really the star of this show for me. My main issue with this release is the confusing mixture of alternate timelines. Because there are a number of different paths from the first two games being thrown into the mix, it’s rather difficult to follow at times. There are many occasions where things from the first game need to be re-explained to Cardia since she has not yet encountered them. For example, in some routes Cardia has yet to make contact with the members of Idea. Aleister’s backstory is also a bit fuzzy, since some of the events from the first game show you his villainous intent while others do not. To that end, he may either be seen as a major nemesis or just a former adversary. I appreciate the fact that the developers used some of the alternate routes of the previous games to help expand the story, but without a flowchart to follow, keeping track of the events was difficult at times. That’s my second issue with this title. Just like its predecessors, there is no flowchart of events to be found. While the decision points here aren’t nearly as story critical as those in the base game, it still would have been nice to reference a backlog of the choices that I made. When revisiting scenes that include decisions, your previous choices are highlighted to help guide you, but unless you write down which scenes contain which decisions, it’s difficult to go back and try different paths later. This is by no means a game-breaking issue, but I’d like to see some form of flowchart implemented in any future releases. Luckily, Wintertide also shares some positive similarities with the previous games. Namely, the artwork and sound design are once again top-notch. Indeed many of the same assets have been carried over from the the first two titles. There are a number of new Christmas-themed backgrounds and character portraits added in too, but the bulk of the artwork remains the same. The pieces that are new fit right in with the existing ones. The same can be said of the music, which is mostly more of the same. The most notable changes include some new tracks for Cantrella’s scenario. These also feel right at home alongside the existing music. Overall, my feelings on Code: Realize ~Wintertide Miracles~ are a bit mixed. For those like me who find themselves already invested in the series, I feel that this title is a welcome edition. Its biggest downside is the fact that the Cantrella route is only 4 hours. Having said that, her route is perhaps the most memorable to date outside of the main story. It manages to expand on the lore of the base game without retconning any of those events and fits quite seamlessly with all of the other pieces. It’s also separate enough that it can stand on its own. All together, I spent a little under 23 hours with Wintertide. I would’ve preferred some of the more involved stories to last a bit longer, but at a modest price point of $49.99 for the standard PS4 edition, I can overlook that. I would highly recommend this title to anyone who has already played the first two. If you haven’t yet played those though, I’d suggest doing so before making the decision to pick this up.